2015 Belmont Stakes Information and General Tips: Racing’s Triple Crown is on the line June 6 in the Belmont Stakes (GI). Zayat Stables’ American Pharoah will attempt to become the first winner of the Kentucky Derby (GI), Preakness (GI) and Belmont since Affirmed in 1978. Run at 12 furlongs, the Belmont is truly a unique event in horse racing today, especially with the reduction of marathon races. Plus, the track configuration of Belmont Park is different because of their wide, sweeping turns. 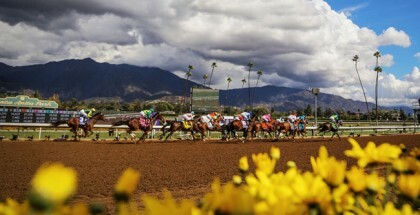 The horses go around two turns for this race, whereas at most racetracks they might take three turns. Racing’s Triple Crown is on the line June 6 in the Belmont Stakes (GI). Zayat Stables’ American Pharoah will attempt to become the first winner of the Kentucky Derby (GI), Preakness (GI) and Belmont since Affirmed in 1978. 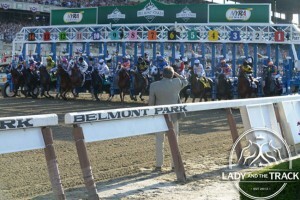 The Belmont Stakes is the featured race of a fantastic card lined up. 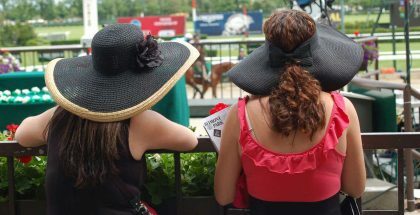 Scheduled as the 11th race, at 6:40 p.m. eastern time, the Belmont punctuates a card also offering the Knob Creek Manhattan (GI), Ogden Phipps (GI), Woody Stephens (GII), Longines Just a Game (GI), Metropolitan Handicap (GI) and Brooklyn Invitational (GII). NBC Sports plans to give the entire card coverage. Belmont Park is located in Elmont, NY. Attendance is supposed to be capped off at 90,000. Those wishing to purchase tickets can find the link to ticket sales on Belmont Park’s official website. According to the link, there is live entertainment planned on Friday and Saturday of that weekend besides the horses, including performances from Goo Goo Dolls, Broadway’s Jersey Boys and the USMA West Point Cadets. A Google search reveals that “Elmont is located on the border of Queens County of New York City and Nassau County.” The closest airport to Belmont Park is John F. Kennedy International Airport. In addition, La Guardia Airport is 13 miles away. For information on public transportation from JFK Airport, click on this link. Of course, the main horse attraction in the Belmont Stakes, and the one with a chance at the Triple Crown, is American Pharoah. Preakness runner-up Tale of Verve plans to make his presence felt too. Some of the Derby contenders that skipped the Preakness plan to compete as well. Todd Pletcher knows how to win the Belmont, and his contenders this year are Madefromlucky, Carpe Diem and Materiality. Closers Keen Ice, Mubtaahij and Frammento may try their luck again at defeating American Pharoah too. Finally, the gray colt Frosted is going to attract attention, and he runs for the always powerful Godolphin Stables. Keep checking this link to stay updated on the contenders. 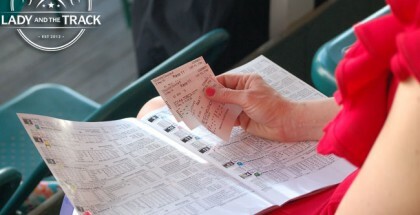 Winning the Belmont is not an easy feat, and fans planning to bet the race should know this. Derby champions that appeared completely dominate in the Preakness failed many times in the Belmont. California Chrome could not sustain the bid last year and placed fourth in his Belmont try. In 2012, I’ll Have Another was injured before even having a chance. Big Brown won the Preakness by over five lengths in 2008, before being pulled up three weeks later. From 2002 to 2004, Preakness winners War Emblem, Funny Cide and Smarty Jones disappointed fans in the Belmont. On the plus side, American Pharoah is a talented horse that has outrun his pedigree and won from a number of different situations. He owns a ton of speed, which is a huge plus in a slower-paced 12 furlong race. Horses that lead the Belmont field with no exciting previous form sometimes stick with the leaders until the finish. In 2008, Da’ Tara went wire-to-wire while spoiling Big Brown’s Triple Crown bid, and he was normally an allowance-level runner. Whether watching from home or at Belmont Park, bet reasonably and enjoy the race! The excitement of wondering whether a Triple Crown will happen is a thrill on its own, and if the accomplishment does not happen this year, there are plenty of future Triple Crown candidates to come.